Elaine Chiovarou-Brown at the Bolton Landing Chamber of Commerce helps visitors find a place to stay for their late-summer long weekend. "If someone comes into my office and does not have reservations, at first I'll say 'Are you kidding? You didn't come with reservations?' But I will find accommodations for them, but it's very, very far and few in between. And very limited." As the economy continues to slowly improve, and with more cooperative sunny skies, it seems 2015 is tipping its hat to the tourist. Village of Lake George Mayor Bob Blais says 2015 has proven to be a huge summer for the seasonal community. 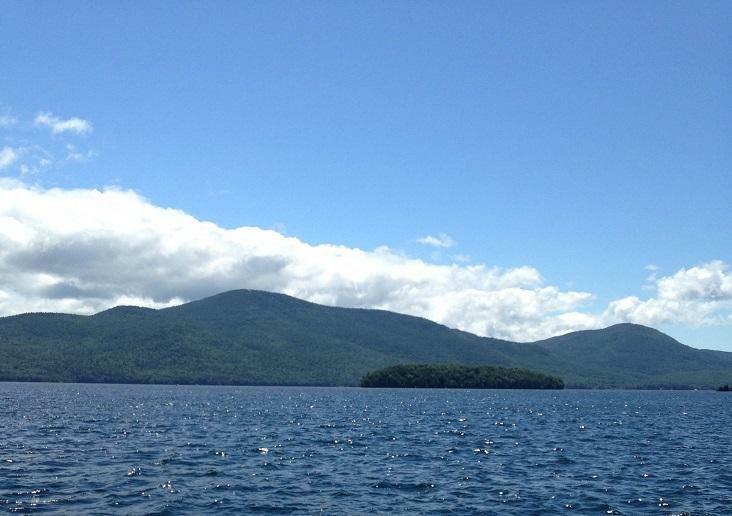 "From all the barometers that we use --- our parking meter revenues, our water consumption from our plant to that feeds the entire district ---- everything indicator is that it's one of the best summers we've had in Lake George in many, many years." There's plenty to do this weekend in the region besides camping, boating, and swimming. Lake George is hosting a regional brew festival and is hosting live music all weekend. "And we've got a huge fireworks show over the lake on Saturday night, so this is probably one of the busiest Labor Days we've taken on in many, many years as well." Michael Consuelo, Executive Director of the Lake George Chamber of Commerce, thinks visitors may have a somewhat easier time in finding a last-minute room because of Labor Day falling later in September this year. The Lake George Chamber operates multiple visitor centers - one on Route 9 on the way into the village and the other between Exits 17 and 18 on the Adirondack Northway. Consuelo says there's been no shortage of travelers this week stopping in and asking for pointers for exploring the Adirondack region. Consuelo attributed the volume of visitors partly to low gas prices. "We pretty much kind of promote that we're a tankful of gas away, so when prices are down people say. 'Well, I can fill up my tank at a reasonable price so maybe we should go up to Lake George and see what they have to offer.'" There are activities up and down the lake ranging from swimming to a Star Trek convention. More than three dozen people are hitting the waters of a popular Adirondack lake to search for an aquatic invasive species that can adversely impact water quality.